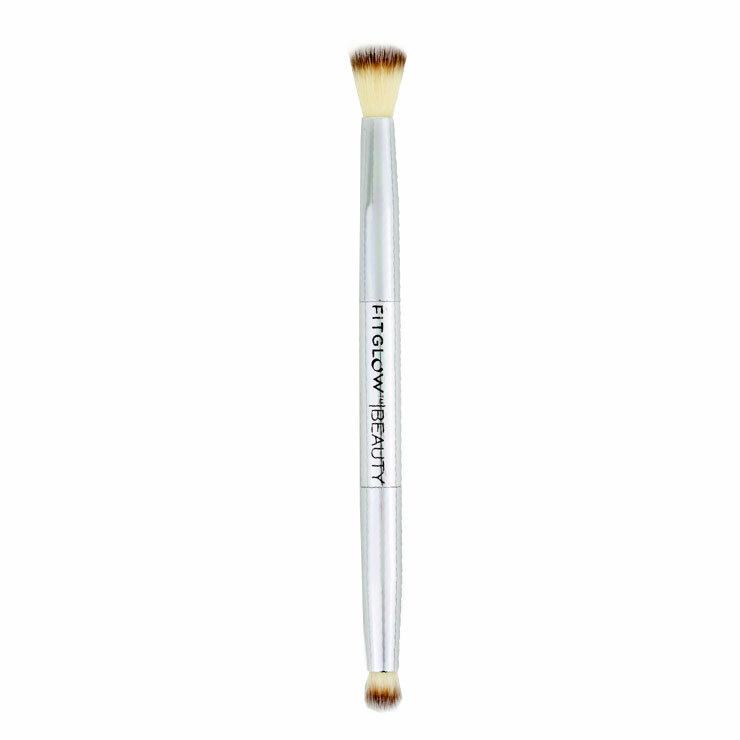 Fitglow Teddy Double Eye Brush is a 2-in-1 tool for creating every beautiful eye makeup look. Double-sided for both blending and definition, the delicate brushes are made with super soft vegan bristles for a gentle feel on even the most sensitive skin. A handy tool for applying the perfect amount of shadow to lids, the brushes are easy to clean and make toting makeup supplies a breeze. An essential for any makeup lover’s beauty kit. Use the larger brush to deposit shadow across the lid and the smaller brush to create definition by applying darker hues in the crease and along lash line. May also be used with cream shadow to disperse and diffuse. Wash with mild cleanser and water and allow to air dry.